Make your Brompton lighter with Ti Parts Workshop titanium components. This Titanium Hub Spacer Nut Set saves approximately 5.4g over the original Brompton component. Set consists of two nuts. The Hub Spacer Nuts fit onto the hub axle and screw down to be situated between the edge of the hub and the insides of the frame's dropouts. 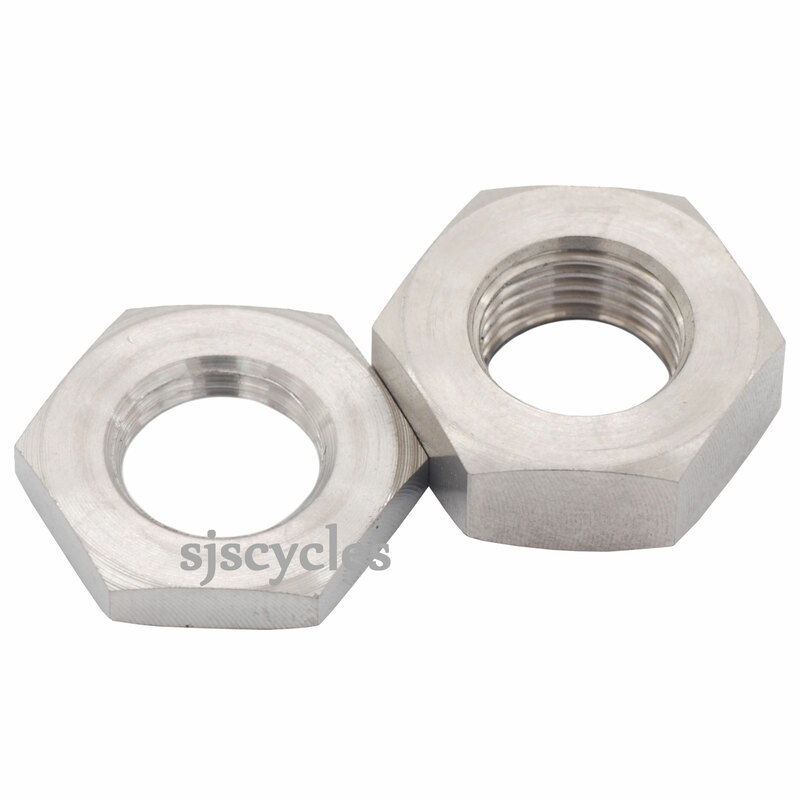 Please see the Rear Wheel Titanium Nut Set for the outer nuts to fit on the outside of the frame's dropouts.